The applications of image analytics are endless. Organizations are starting to realize the possibilities of how to extract value from unstructured data, such as images or video footage, to create a new and enticing customer experience within retail, entertainment, transportation and airport security, insurance claims, and more. Here are five image analytics applications that are unexpected, disruptive, and creative. Curious to know who attended the Royal Wedding? Sky News partnered with Amazon.com and engineering firms to identify the attendees of Prince Harry and Meghan Markle’s wedding. They identified celebrity guests using real-time AI capabilities of Amazon Recognition to compare and process live video footage of the guests entering the chapel with known, archived images of celebrity faces. 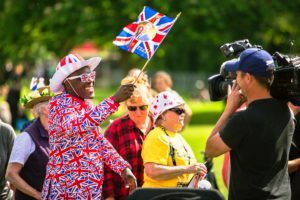 In addition to identifying celebrities at a Royal Wedding, image analytics is being used to support an ever-growing list of business use cases. These practical applications of deep learning and image analytics are possible because of the advances in machine learning algorithms, the availability of Big Data, and the existence of robust technology and infrastructure to support real-time processing of these models. Because of these advances, image analytics is now a realistic possibility for a growing number of organizations. According to USA Today, TSA is investing in new scanners that allow agents to “virtually unpack bags.” These scanners would provide more accurate object detection, reduce the number of bags that would need to be opened and inspected, and provide faster security screenings. Many U.S. airports are acquiring upgraded technology that enables the use of biometrics such as finger or iris scanning, as an alternative security screening measure. Singapore’s Changi Airport will soon be opening a new terminal with automated face recognition. 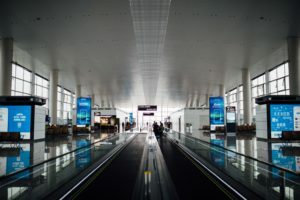 Since the Changi Airport is considered to be “the 6th busiest airport for international traffic,” this use of image analytics technology is expected to improve the airport’s ability to move passengers from arrival through security to their departure gate and significantly boost capacity. Social Media platforms such as Facebook and Google Photos have utilized deep learning and facial recognition for a while now – and, whether you realize it not, all of us who use these platforms are helping them improve the accuracy of their models. 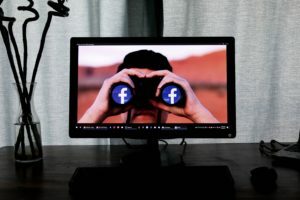 If you’ve ever tagged a friend or family member, you’ve contributed to refining the model’s ability to detect individuals in the photos you post. Facial recognition technology is also being used in Australia to identify missing persons. The Missing Persons Action Network (MPAN) is leveraging Facebook as a quick way to spread a message through be-friending missing persons to expand their network through Invisible Friends. With Facebook’s facial recognition algorithms, people can be identified in the background of photos. Because of how interconnected friends of friends’ networks are, it becomes more possible to find missing persons. Have you ever gotten into a car accident and had to go through a week-long claims process? Wouldn’t it be much easier – and less stressful – to be able to pull out your phone, take a few pictures of the damage, and upload them to an app for a real-time assessment? 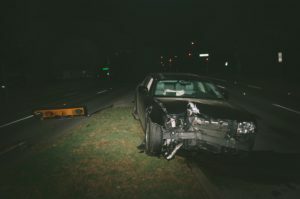 Some insurance companies such as Mitchell Insurance are already using AI technology for automated vehicle damage analysis, allowing for more consistent and timely cost estimates. There are countless examples of how to apply deep learning to healthcare. Drug manufacturing companies continuously design and test drugs, treatments, and devices through clinical trials. Clinical research can use deep learning with medical imaging such as CAT scans, X-RAYs, and MRIs to help detect the presence or absence of conditions that are visible in images. 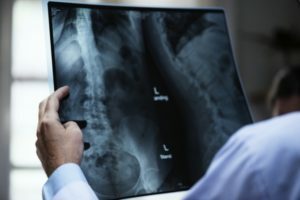 For example, the CheXNet algorithm developed by a Stanford Machine Learning group can now detect pneumonia from chest x-rays with accuracy exceeding practicing radiologists. This example illustrates how deep learning and AI are instrumental in improving health care practices, preventing false diagnoses, and providing physicians with a second opinion from a model trained on hundreds of thousands of images. We help you set the right course, develop the right solution, and transfer the right knowledge. Put our experts to work on your next Analytics project.